A convertible and an express each has its own advantages and disadvantages. 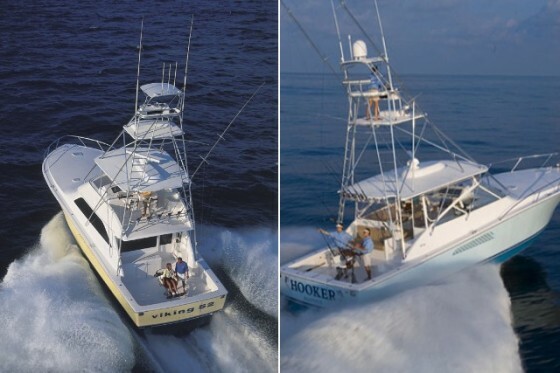 The real question is, which bluewater fishing boat design best suits you? Serious offshore addicts who have the bankroll and the confidence usually step up from center console fishing boats to battlewagons at some point. When doing so they’ll be faced with a tough call: should they get an express, or a convertible? Each has its own pluses and minuses. Consider them carefully, and you’ll be able to make the right call when you step up to a new bluewater fishing boat. 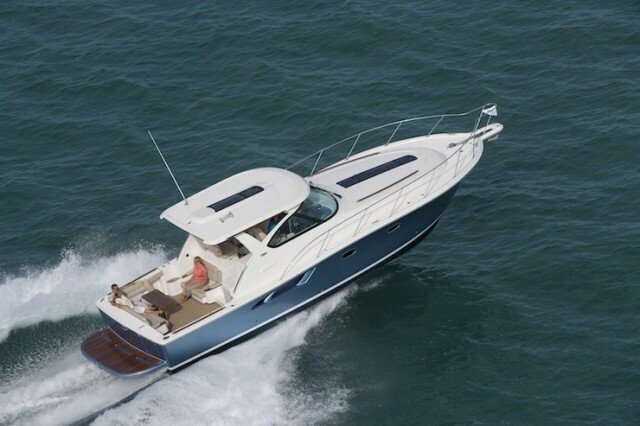 Many manufacturers build both convertible and express models, as you can see with this pair of 52 foot Viking Yachts battlewagons. The question is, which one will be better for you? 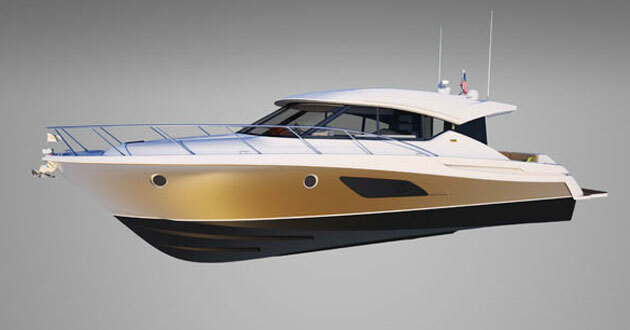 Convertible boats have a big advantage over expresses in that they have larger cabins. Enclosing what would be the helmdeck on an express, and turning it into a salon, provides a lot of interior space. 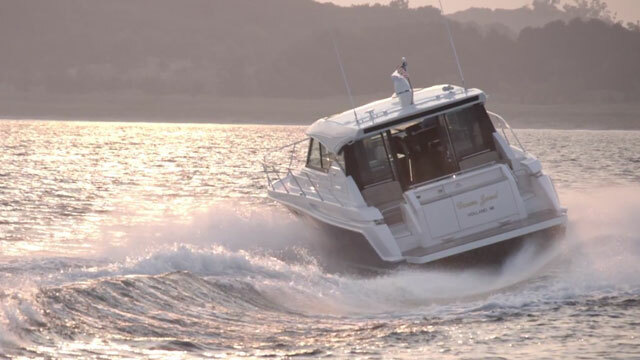 And although the flybridge is used for running the boat, it also serves as additional entertaining area because many people enjoy riding up top. The extra room means extra berths as well, which certainly come in handy for those overnighters at the canyons. 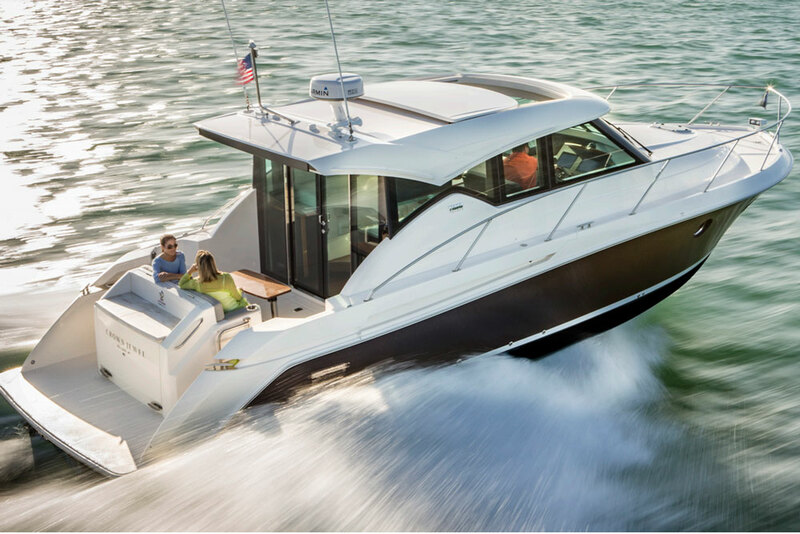 Convertibles also gain the advantage of height with that flybridge, elevating the captain’s eyes and making it easier for him to spot fish-attracting offshore structure, like rips, weedlines, and flotsam. Naturally this can be made up for by adding a tower to an express, but if you added a tower to the convertible as well, you’d once again be that much higher. There’s one perk to convertibles that you’ll enjoy before you even buy the boat: they’re more popular in the large offshore fishing boat marketplace, which makes it easier to find one that matches you budget and preferences. 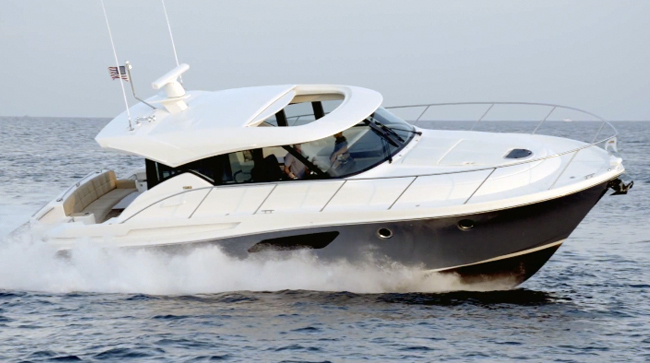 On top of that, once you find your ideal boat, you and your crew will enjoy a higher level of comfort from that very first cruise. 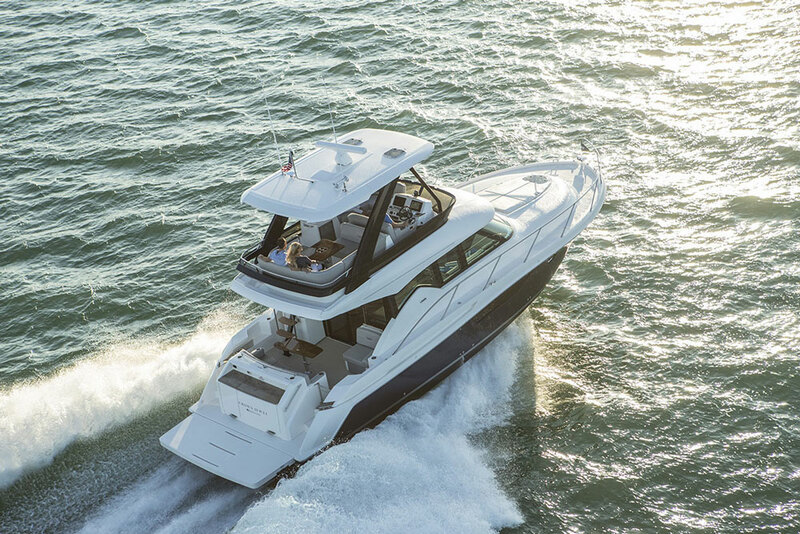 The flybridge moves the helm station far away from the powerplants, providing a buffer for vibrations emanating from the engineroom—which is often directly below the helmdeck, on an express. 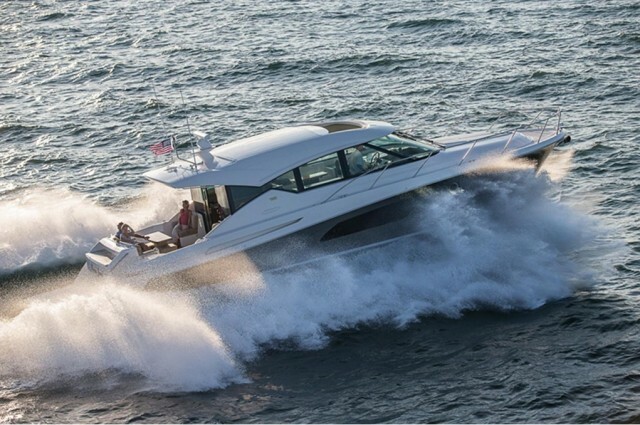 (One exception: new pod drive boats tend to be quieter and have far fewer vibrations at the helm). On the flip side of the equation, it’s a lot easier to get around on an express than it is on a convertible. There are no bridgedeck ladders to contend with, engine rooms are often easily accessed via lifting helmdecks, and the helm itself is just a few feet from the cockpit. The easy transition from the wheel to the rods and reels makes it a lot easier for the captain to get in on the action, when the fishing gets hot. That means the captain can often do double-duty, and while it generally takes at least three competent people to fish a convertible—a captain, an angler, and a mate—on an express, two people can get the job done. Expresses also tend to be a bit more stable than convertibles of the same size, since they have a lower center of gravity. And they tend to cost slightly less than convertibles of the same size, too, though this difference can shrink if you opt to put a tower on your express to make up for that height difference we talked about earlier. So which design wins: convertible or express? Both, and neither. Which is best for you really depends on how you prioritize the above characteristics. If you place the most emphasis on cabin size, a convertible will be your pick. But if you tend to fish short-handed as often as not, or if you like to get into the cockpit and reach for the gaff on a regular basis, an express is probably going to be your pick. Either way, we know one thing for sure: each design has its advantages and disadvantages, and you should consider all of these factors before you buy your next bluewater fishing boat. To learn more, visit our explore pages for Convertibles and Express Cruisers.